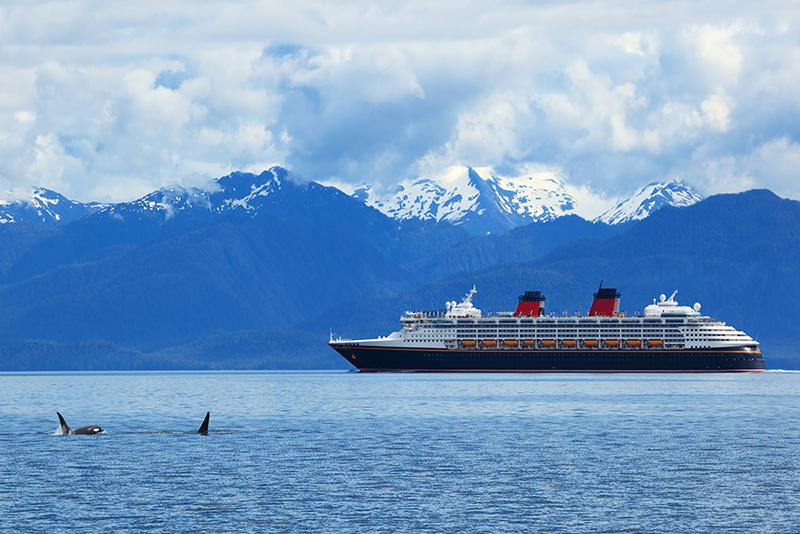 Don't miss out on the beauty and serenity of an Alaska Cruise. 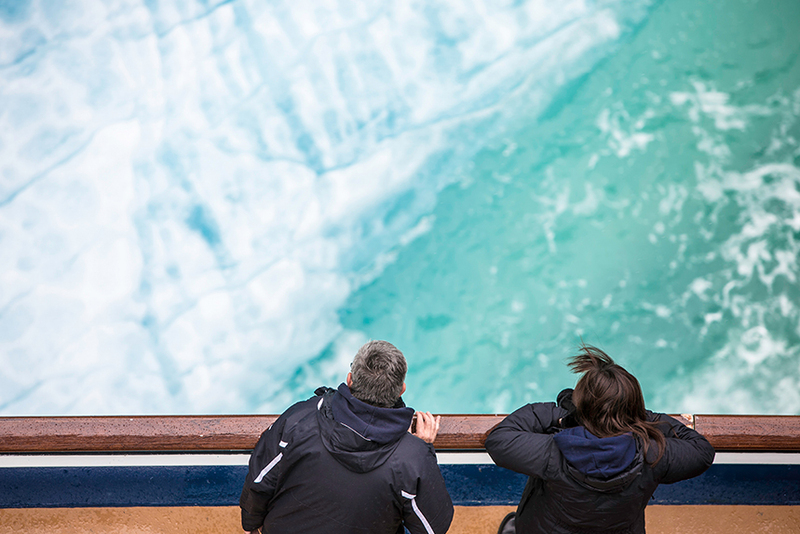 See the majestic landscapes and iconic glaciers with up to FREE or Reduced Airfare, Shipboard Credit, Free Gratuties and More when you book with us! 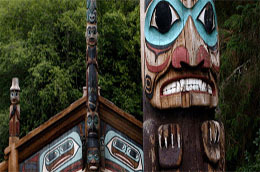 Highlight Ketchikan features many options for seeing traditional Native American totem poles, including the Totem Heritage Center. Highlight Glacier Bay isn't just glaciers! You'll see lush, green forests and the animals that inhabit them as well. 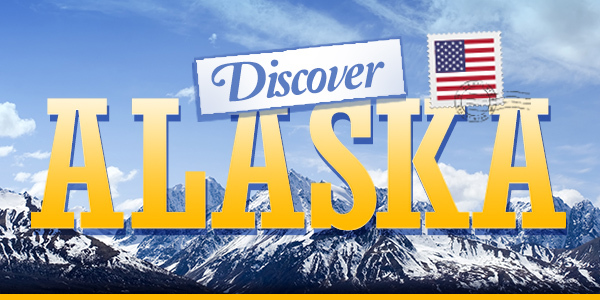 FREE Airfare from Los Angeles, Chicago, Denver & More. $99 Airfare from Dallas, San Diego, Minneapolis & More. $249 Airfare from Orlando, Charlotte, New York & More. $349 Airfare from Miami, Washington D.C., Cleveland & More. Many More Airports from Just $99. Call to ask about yours! 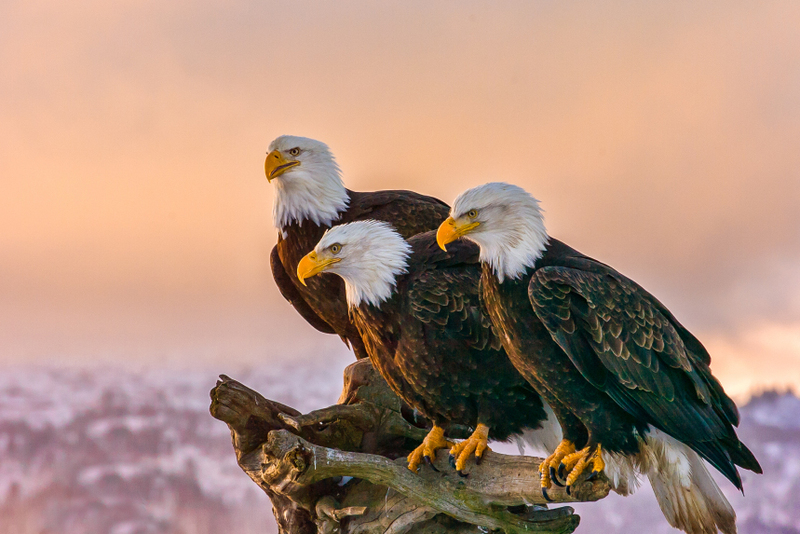 Highlight The Ketchikan and Juneau areas are highly recommended for seeing Alaskan Eagles in the wild. Highlight Dolphins, orcas, and humpback whales are a very common sight in Alaskan waters from May through September. 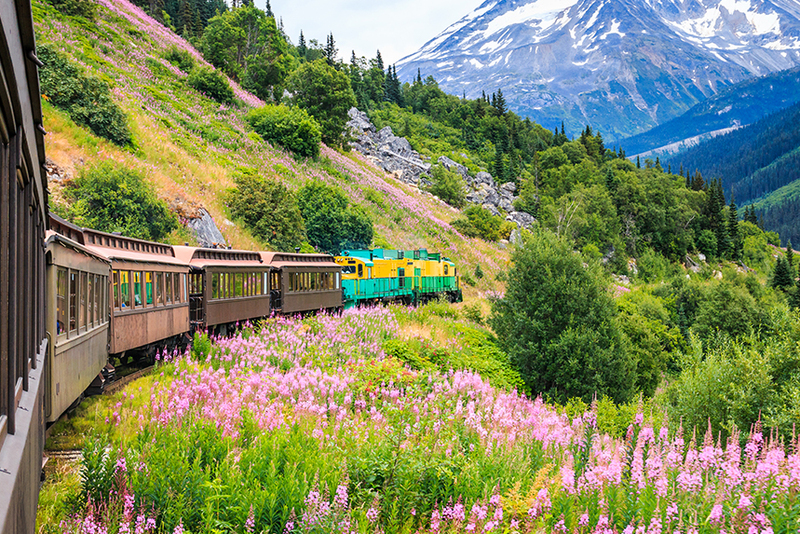 Highlight Skagway is known for its narrow White Pass & Yukon Railway, connecting to Whitehorse, the capital of Yukon. 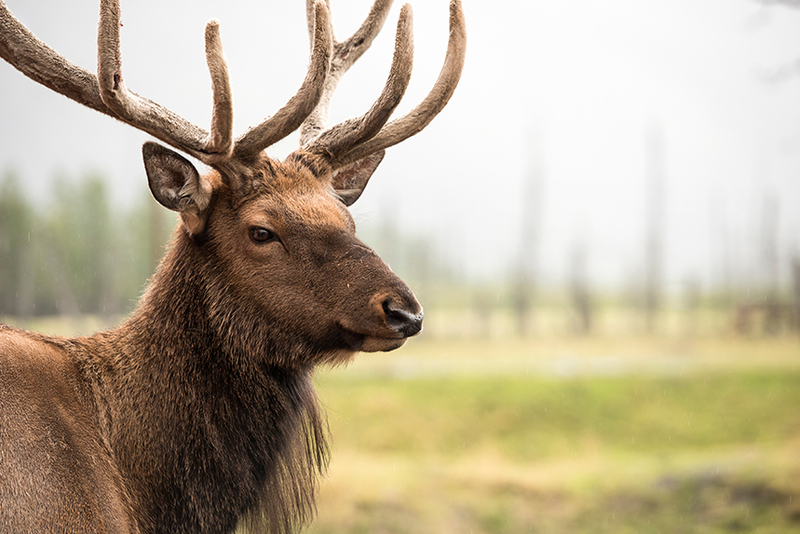 Highlight Wild Caribou can be found all over Alaska's temperate forests. Fun Fact: Only domesticated caribou are called Reindeer! 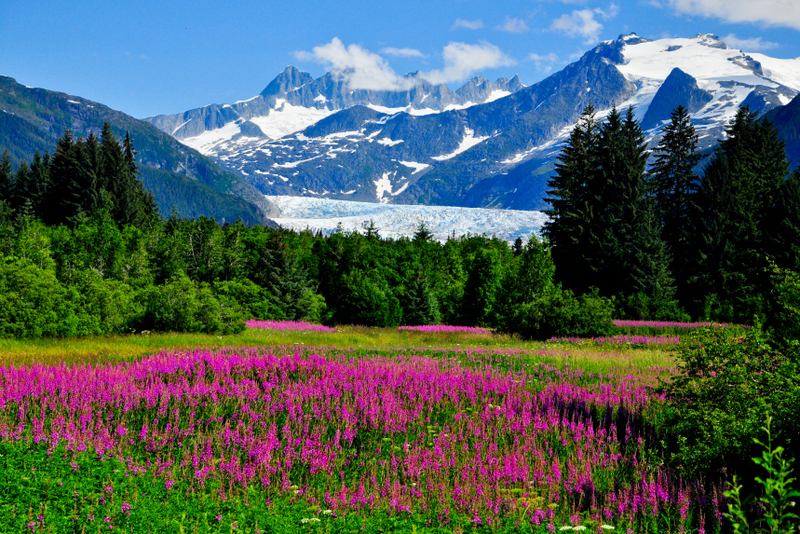 Highlight Juneau is known for fireweed, a colorful plant that's often the first colonizer in the soil after forest fires. 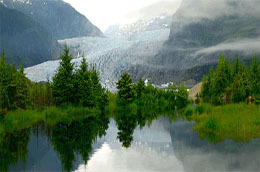 Highlight Enjoy an up-close and personal view of the size and beauty of Alaska's glaciers along the Inside Passage.